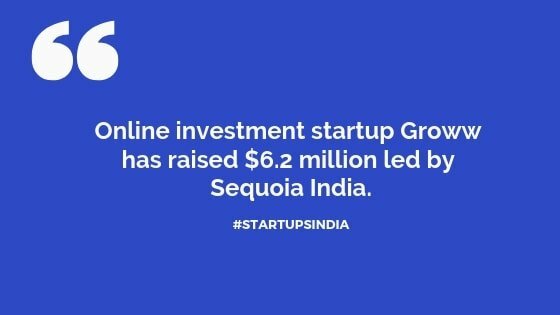 Online investment startup Groww has raised $6.2 million led by Sequoia India. Data science-based mutual fund investment platform Groww has raised $6.2 million in a Series A round of funding led by Sequoia India. The Group of companies witnessed participation from Y Combinator, Propel Venture Partners and Kauffman Fellows. The firm is going to use the funds to build technology and launch new products, Groww said in a statement. “The present generation is increasingly moving towards financial products instead of real estate and gold. There are nearly 200 million people with investable income in India, but we have only 20 million investors. Lalit Keshre, Co-founder & CEO at Groww said that young stars have to bring the next 180 million on-board is by making investing simple. The firm long-term goal is to make anything related to finance extremely simple and transparent for users while providing them with the best user experience. Bengaluru-based Groww’s mission is to create investing simple for the next 100 Mn people to effectively grow their wealth by moving towards digital financial products. Launched in April 2017, Groww currently offers direct mutual fund investment plans and to roll out all other investment products, including stocks and transparent approach to investing via a mobile app and web platform. The Groww focuses on millennial investors and has a user base of over one million users. “Groww is the right idea, at the right time, to enable and empower a new young generation of investors in India to build their financial future at a younger age, and we’re proud to be on the ground floor of this sea change,” said Tan Yinglan, founding managing partner, Insignia Venture Partners. “The team is doing the best job building a good relationship with customers with its simple and convenient product offering. It’s not an easy thing to imagine that Groww will layer on more products and services to become the Amazon of Financial Services,” Yinglan said. “We are looking forward strong growth in the Indian investor base, which is fuelling the market need for a better and inexpensive investment platform such as Groww,” said Ashish Agrawal, Principal, Sequoia Capital India Advisors. 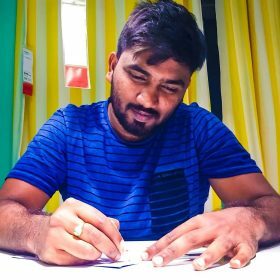 IIT Madras alumni-founded start-up the microbial fuel cell tech to generate electricity by treating textile wastewater into use.